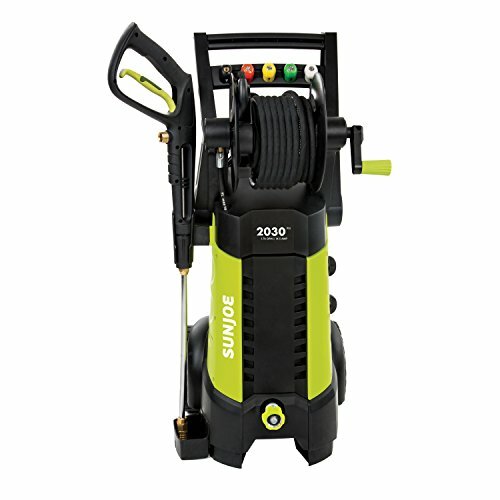 If a commercial pressure washer seems petite to you then you need to go Semi-Pro. These washers feature larger pumps, engines or motors. They are perfectly poised to handle the rugged demands of a work place as well as downsize for home based requirements. Moreover, they are fast. With significantly higher power output, PSI and GPM rating than commercial washers, they will reduce the time needed for power washing. 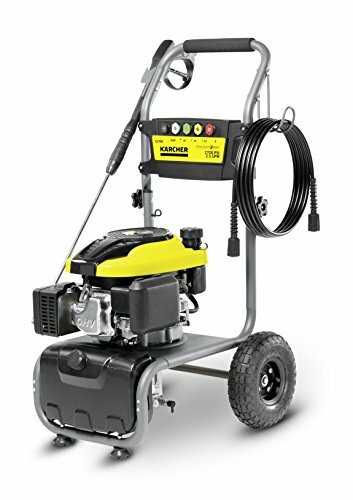 Also, consider their positioning with respect to professional grade pressure washers – Semi pro units are cheaper, use less water, require less power and use similar quality components. All they lack is the additional bells and whistles that make professional washers so darn expensive. 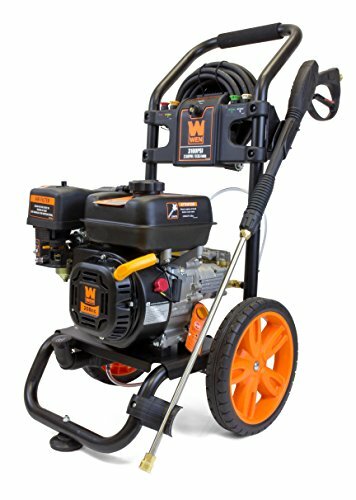 Whether you need a commercial or semi-pro, the first decision to take into account whether you want an electric or gas pressure washer. The pros and cons of either have already been touched upon earlier. Here is a summary of what you can expect from each. ​​Gas Type – ​​​​Expect a PSI of 2500 to 4000 with a GPM of 2.5 to 4. Prices start from $500 and onwards. ​​Electric Type – ​Expect a PSI of 2000 to 1800 and a GPM of 1.8 to 3.5. Prices start from $650 and onwards. Like before with commercial pressure washers, Semi-Pro units too come in variable sizes. There are portable units with high power output which cost a lot and medium or large sized stationary units that cost less with the same output of power. In Semi-Pro pressure washers, size does not play that much of a role. In fact, smaller the size more is the cost. The larger your pressure washer is or the more PSI it generates, it more power it will require. Hence, you may have to use a 20 AMP circuit to operate a Semi-Pro pressure washer. 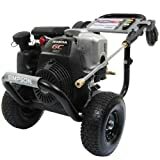 Therefore, before purchasing such a large pressure washer make sure that your domestic wiring can handle the load. Also, with large and powerful motors, it is necessary to have GFCI power cords. Ground Fault Circuit Interrupter cords prevent the motor from starting if they detect ground faults. If you plan on using detergent or soap solution then you have two choices among Semi-Pro pressure washers. One is to go with detergent tanks and the other cheaper alternative is a siphon tube that you can use in tandem with a bucket of water and detergent. Naturally the more efficient choice is a detergent tank. So look for Semi-pro units that provide this feature if you intend to clean sidings and dirty floors. The good thing with Semi-Pro pressure washers is that you have a choice between efficient pump designs. Axial or direct drive pumps are the better option and the best option is Triplex pumps. Direct drive pumps spin at par speeds with the engine and they usually last longer than axials used in commercial grade washers. On the other hand, Triplex pumps are more common among higher end Semi-Pro units offering increased longevity and superior performance. They are great for regular use and save you money when the pump breaks down as the entire pump can be replaced. Every Semi-Pro pressure washer comes with a set of spray tips. With commercial grade units you may or may not get these as add-ons but with Semi-Pro units they come as part of the package. Depending on the kind of application you intend to use the pressure washer for, any one of the tips will be perfectly suited. Things such as wands, spray guns and high quality hoses are to be expected with Semi-Pro pressure washers. The one feature that you must look for in this range is an adjustable pressure dial. This lets you tailor the pressure output of the pump and washer to help clean different surfaces and increase the versatility of the washer. Some of the features are actually borrowed from professional grade pressure washers. Although most are not essential for usual purposes, it is handy to have them.